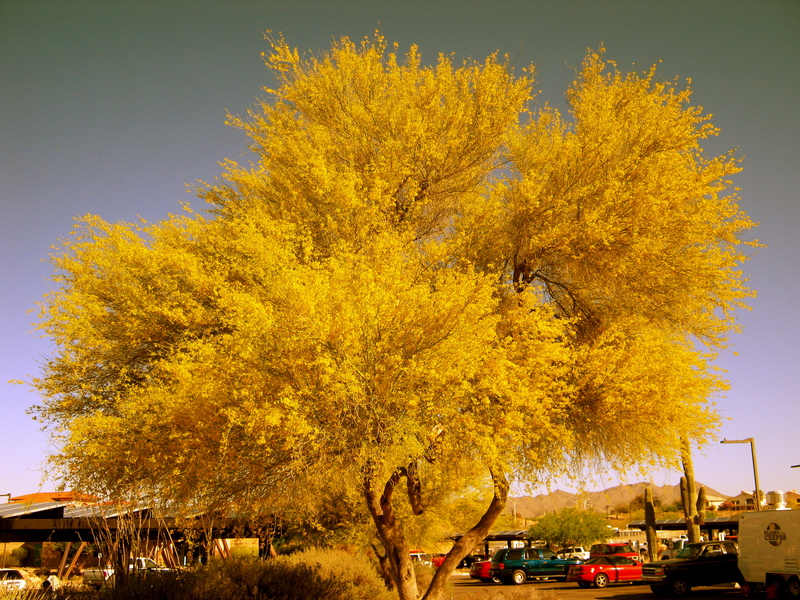 In order to give you an accurate picture of a Palo Verde in bloom I had to enhance the photo with iPhoto. And still the photo doesn’t do the tree justice. 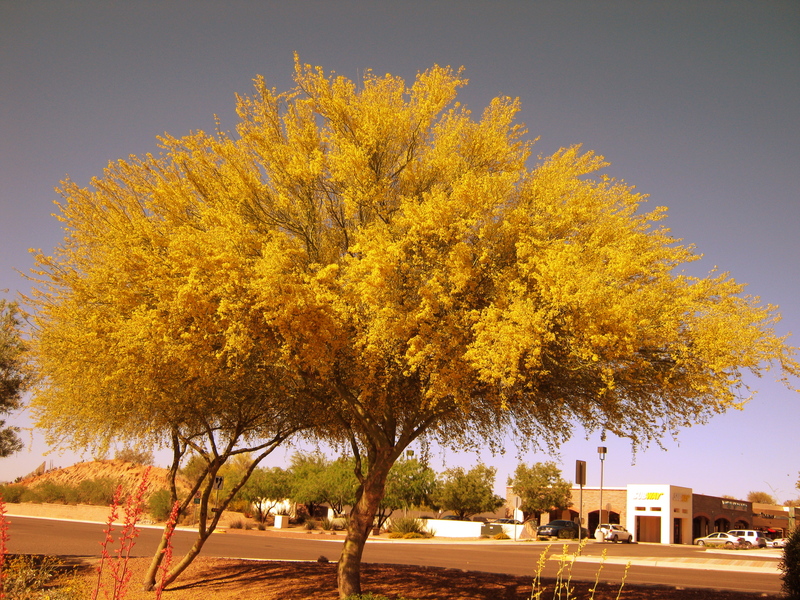 A blooming Palo Verde is not just a beautiful tree; it sparkles; it beams. 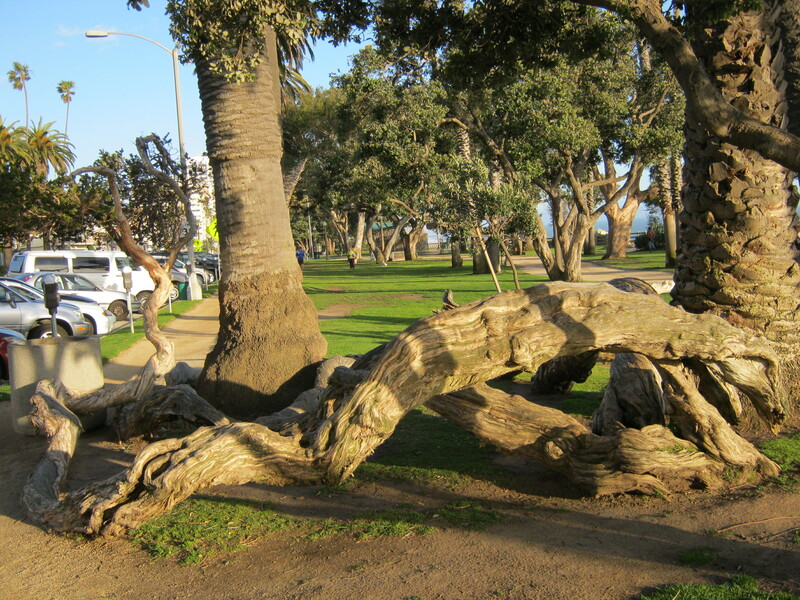 This is as close as I could get with my iPhoto. Oh well, you will have to visit the Sonoran Desert during spring sometime. 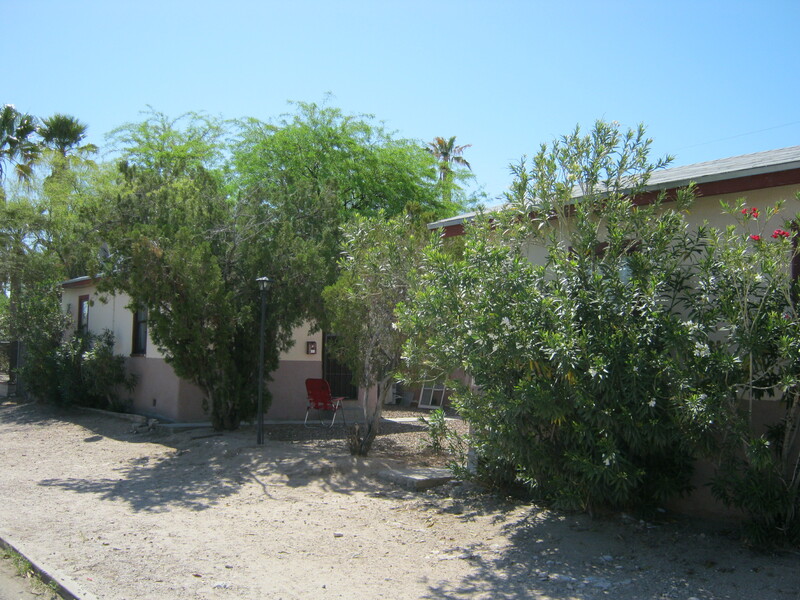 My pad in Tucson, in days long past. Remodeled! 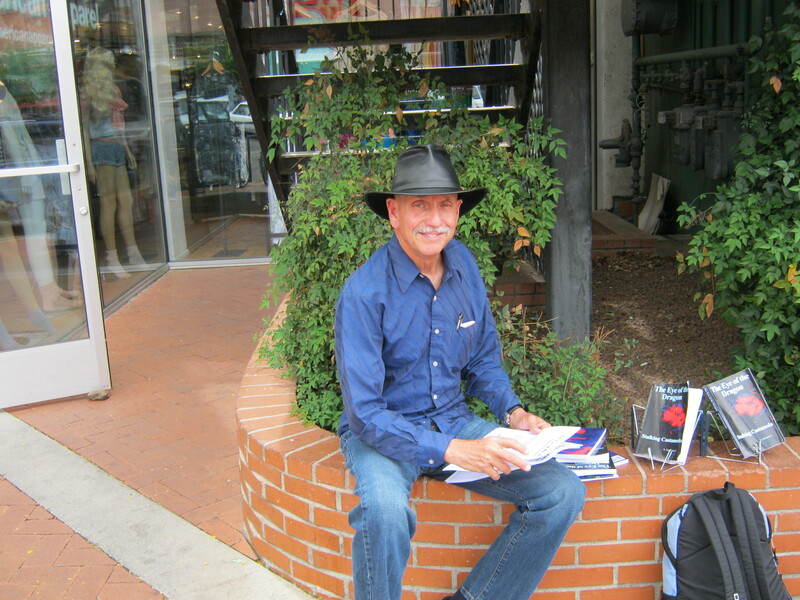 Tomorrow I’ll visit the Tucson Weekly to see if they’d like to do a review for me. After all, the book has local interest. “For the first time since our movement against economic inequality and political corruption began,Occupy Wall Street is literally occupying Wall Street. As of 3am eastern time, over 40 Occupiers are sleeping on Wall Street near the corner of Broad across from the New York Stock Exchange. Everyone angry at the greed of the financial system is encouraged to bring a sleeping bag! 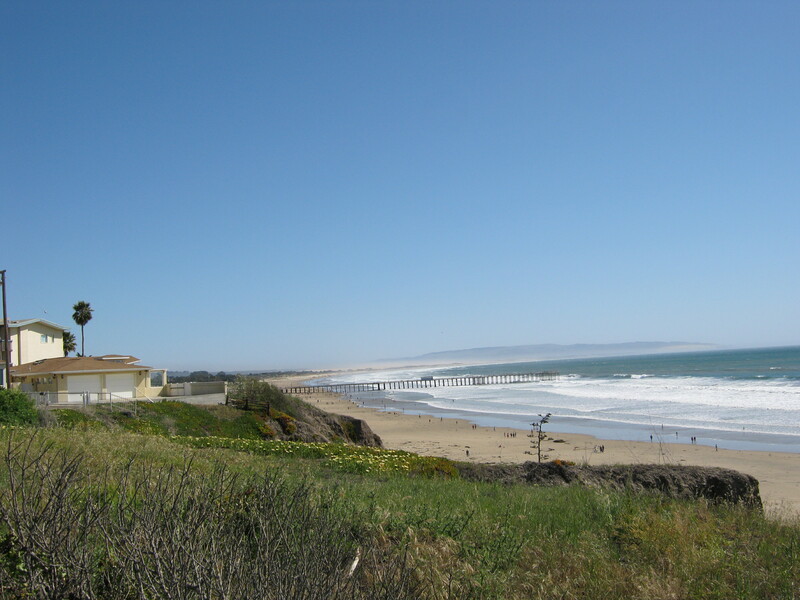 The Road to SLO | The Shell Oil Co . . . Amazing! 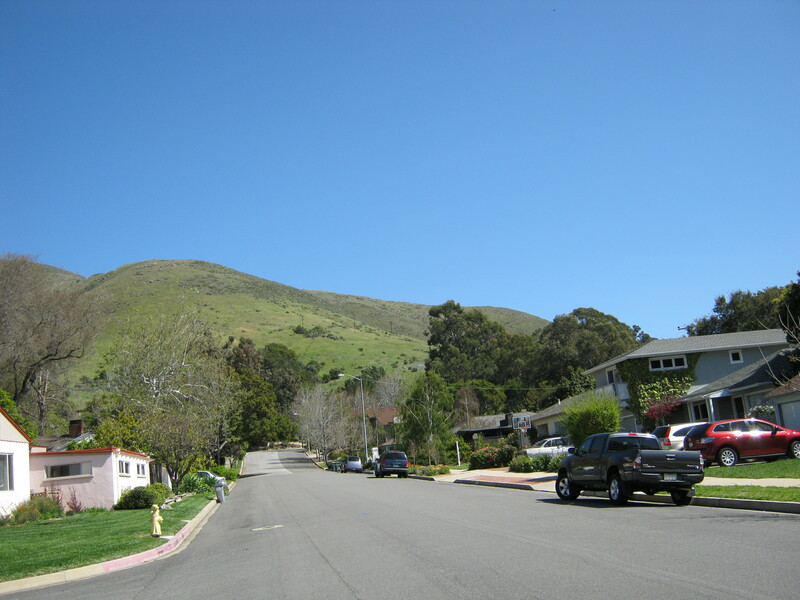 I went to San Luis Obispo, CA to try to get a review for The Eye of the Dragon in The Tribune. April used to work there; she is the lady who wrote a review for my first book, A Vagabond in Mexico. She wasn’t there anymore though. And they told me that at the moment they only review books by local authors. I had figured that that was likely to happen, nothing stays the same. 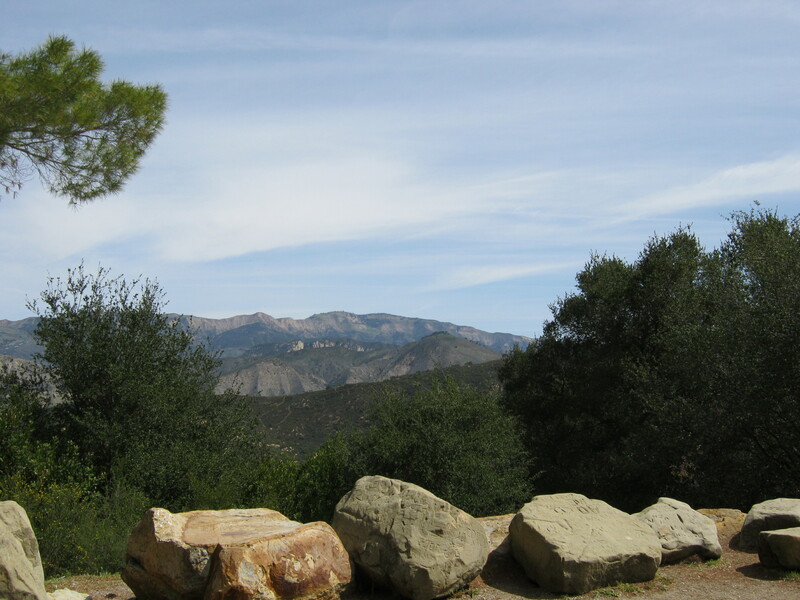 But I had to give it a try; it is not far from Santa Barbara, where I’m staying at the moment. When I arrived, I stopped at the Shell gas station to use the restroom, the one at the corner of Santa Rosa and Monterrey. The attendant, a tall, dark-haired unpleasant youth said that I couldn’t use the restroom unless I purchased gas. Isn’t that amazing! Since I wasn’t ready to purchase gas at the moment, I walked to the building across the street where they let me use their restroom. I used to do business with Shell regularly. Not that I am looking forward to do business with any of them; they are all part of the entity that controls our government. As soon as I can I am getting an electric car . . . or a bicycle. Let’s boycott all of them. Filed under: Perspective | Tagged: cars, Foothill, On the Road, Pismo Beach, pismo beach ca, San Luis Obispo, Shell, shell gas station, SLO, transportation, Travel, vacation |	Comments Off on The Road to SLO | The Shell Oil Co . . . Amazing!